Goodman Construction can update your pump, heater or pool filter. 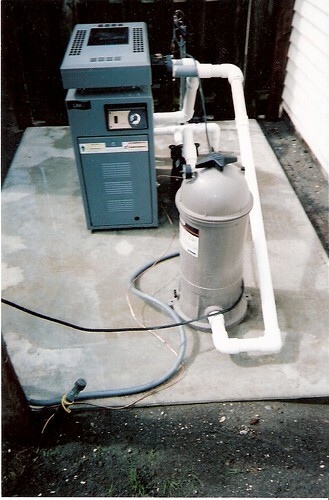 If you would like to get a new variable speed pump, or new heater, give us a call 866-511-POOL. Goodman Construction is a pool contractor serving Seattle, Marysville, Mt. Vernon, Bellingham areas. 1. All public facilities to install new drain covers that meet standards. 2. Single main drains to install additional entrapment prevention. Complete guidelines for complying with Federal and Washington State Rules. Goodman Construction - Custom Pools can start by filling out the Compliance Verification Form. If you just need main drain covers we can take you through the six step process. The government has set a new website poolsafety.gov that covers all aspects. We have compliant drain covers and can do more elaborate jobs that require drain sumps or other entrapment prevention devices to suit your pool. If you have any question feel free to call 866-511-POOL or visit our website.